Editor’s note: This is one of an occasional series of stories highlighting the health risk — particularly to children — of lead services lines, which deliver water from city water mains to about 70,000 homes in Milwaukee. 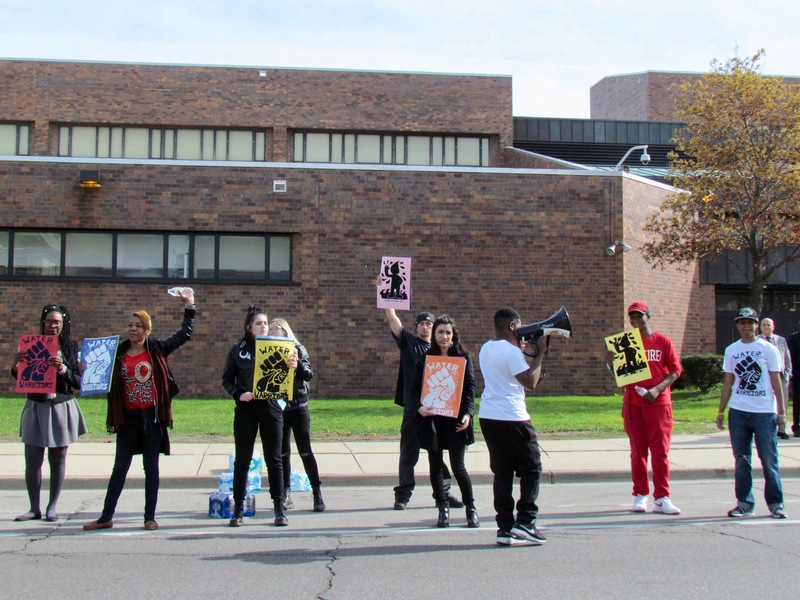 On a recent weekday afternoon, a group of North Division High School students, Milwaukee Public Schools teachers and other supporters demonstrated in front of the North Side school while chanting “clean water,” sporting signs emblazoned with a fist and the words “Water Warriors” and handing out free bottled water to motorists who stopped. The City of Milwaukee, and its largest school district, have attempted to assure residents their water is safe amidst a growing concern about the negative effects of lead, spurred by the water crisis in Flint, Michigan. According to a Milwaukee Public Schools (MPS) database, 15 of the school’s 66 water fountains tested over the federal limit of lead allowed in water of 15 parts per billion (ppb). The protest stemmed from a dispute centered around a recently installed water bottle filling station on North Division’s third floor, an area used for professional development and off limit to students. “We don’t have a lot of resources that they have on the third floor,” said Shaniya Liberty, a senior at North Division, 1011 W. Center St.
Liberty added that students want filtered water fountains on the first and second floor, ongoing water quality testing for the entire district, filtered water fountains in all district schools and all lead pipes to be replaced. Denise Callaway, head of communications for MPS, said allegations that district officials are exposing students to lead-contaminated water are not true and that MPS has gone above and beyond what is required, identifying and shutting down bad water fountains. “We have been absolutely transparent in what we have done,” she said. The episode underscored the mistrust among some community members toward public officials in the wake of a special task force’s unanimous approval of recommendations to address the lead-water issue. 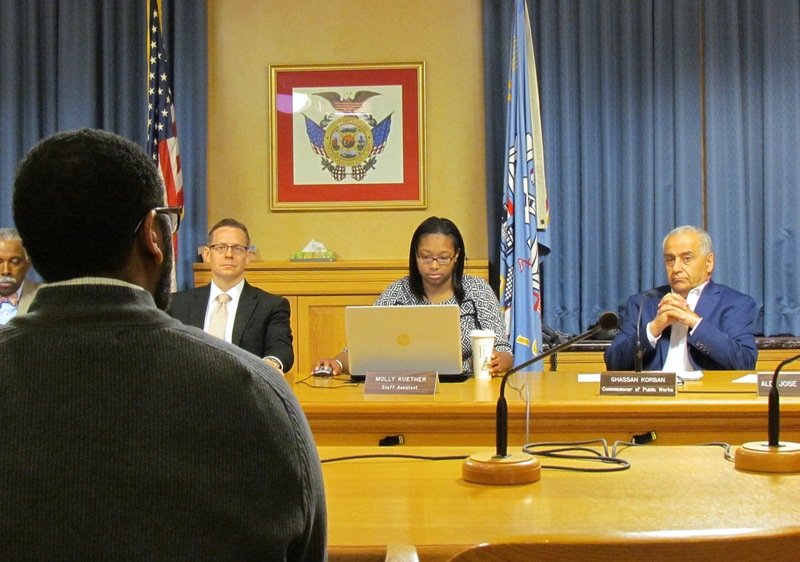 The City of Milwaukee Water Quality Task Force, created by Common Council President Ashanti Hamilton last summer, included aldermen, community members, public works and city health officials. The group recently approved 20 recommendations to address lead service lines, which deliver water from city water mains to private properties. About 70,000 homes are still serviced by lead lines. The lead service lines bring the toxic metal into the homes’ water. The first recommendation states: “The City should do all in its authority to accelerate the removal and / or rehabilitation of lead service lines within its jurisdiction.” The recommendation was suggested by task force member Ben Gramling — one of two community members appointed to the body. During the final meeting it was elevated to the top of the list after public testimony. The plan also prioritizes the use of water filtration units as a measure to protect families. The 2017 city budget includes $6.5 million that will go toward replacing leaking lead laterals — 300 of which officials expect to replace per year — as well as service lines at 385 certified child care centers and eight private schools. 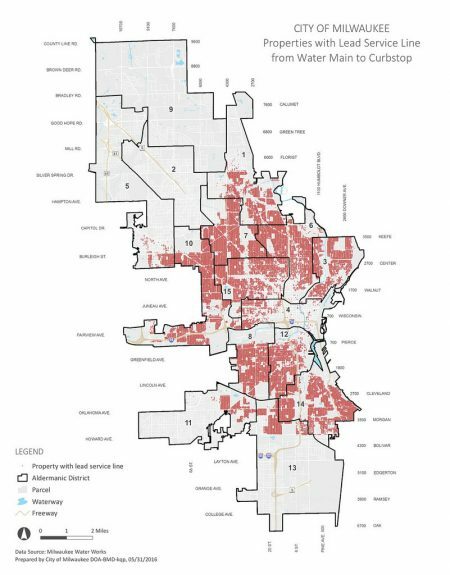 A recent city ordinance also created a cost-sharing program for property owners, capping the cost at $1,600 to replace the entire service line, a portion of which is private. Last year, the city provided 1,755 filter starter kits to families at no cost through community partners such as Sixteenth Street Community Health Centers and the Social Development Commission. The city expects to purchase and distribute as many as 3,000 additional kits in 2017. Lead poisoning has been a persistent problem in Milwaukee, the effects of which have been concentrated in impoverished central city neighborhoods. In 2003, 38 percent of Milwaukee children tested had lead-blood levels above the current standards. Today, more than 11 percent of children measured above 5 ppb, the nationally recognized standard for lead poisoning, according to the city. As of 2015, 19.9 percent of children under 6 tested in the 53206 ZIP code — where more than 10 percent of the homes with lead laterals are located — had dangerous levels of lead in their blood. In Flint, 4.9 percent of children have lead-blood levels above 5 ppb. Community members interviewed at the task force meeting, North Division rally and a North Side community meeting said the issue is more about priorities than resources, noting hundreds of millions of dollars have been allocated to the new Bucks arena and a downtown streetcar. Some criticized public officials for not being fully transparent or treating the issue like the public health crisis they say it is. “We have been poisoned for decades,” said Robert Miranda, spokesperson for the Freshwater for Life Action Coalition (FLAC), a group convened to advocate for clean water. “Don’t let Mayor Barrett or MPS tell you any different. The bottom line is: our water is unsafe,” he added. She noted that a diet high in Vitamin C, Calcium and Iron can help mitigate lead absorption, especially important for young children, who absorb lead at a greater rate than adults. “Why are we saying, ‘Go see your doctor’? Why aren’t we bringing the doctors to the kids? Why aren’t we having doctors and nurses test kids methodically?” Tussler asked. “This is a moral issue,” said Wisconsin League of Conservation Voters Organizer George Olufosoye. “Are you going to let kids continue to get poisoned? That’s the type of argument that we need to make across the state.” He added that lead contamination affects 80 water systems across Wisconsin. Olufosoye, whose participated in a panel at the community meeting, said it is important to give scientists a platform, and to listen to them, so decisions are based on data and research rather than finances. “The only long-term solution is to get the lead pipes out of there. That’s the only solution that makes sense in my mind,” said Michael Carvan, a professor at UW-Milwaukee’s School of Freshwater Sciences. State legislators are considering two bipartisan bills — Assembly Bill 78 and Senate Bill 48 — that would allow water utilities to provide financial assistance for service line replacement. 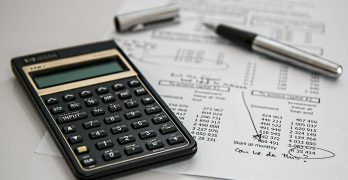 These bills would allow utilities to pass the cost on to consumers in the form of rate increases. Another bill that would allow municipalities to remediate or provide loans to remediate contaminated private wells or “failing private on-site wastewater treatment system[s]” could further open the door to public assistance for removal and replacement of private, out-of-home infrastructure, but would most likely not apply to interior plumbing, according to District 10 State Rep. David Bowen. Bowen said the state could potentially help homeowners remediate interior plumbing through a tax credit or other program to make it “as affordable as possible,” but noted it would depend on the budget. 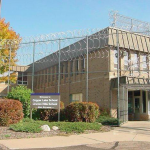 Still, he said he would like to see the issue addressed and urged residents to raise these concerns with their local and state elected officials. Good Evening My Fellow North side milwaukeens . Until the EPA tests the water for lead content . DO NOT DRINK THE TAP WATER . DRINK ONLY BOTTLED WATER .